The UICH (Union Internationale des Concierges d'Hôtels) Qatar Chapter has confirmed Doha will host the organization’s annual congress in 2021. The 67th edition of the annual event is expected to gather more than 900 members of the hospitality sector for a six-day program which combines professional development, networking and social activities. Les Clefs d’Or (translated as The Golden Keys) is an international association of close to 4,000 professional concierges from across the globe. Key holders have years of experience and a strong sense of devotion to Clef d’Or promise of delivering excellent service to hotel guests at every opportunity, explained Randy Santos, 3rd Vice President of UICH and Founder of Les Clefs d’Or Qatar. Qatar’s hospitality sector offers the best guest experience in the Gulf region, according to the Olery Guest Experience in the Middle East Report for the years 2016 and 2017. At present, Qatar has 23 Clefs d’Or concierges, recognisable through the key they display on the lapels of their uniforms. The crossed gold keys symbolise the commitment of the members to guaranteed, quality service at par with international standards. 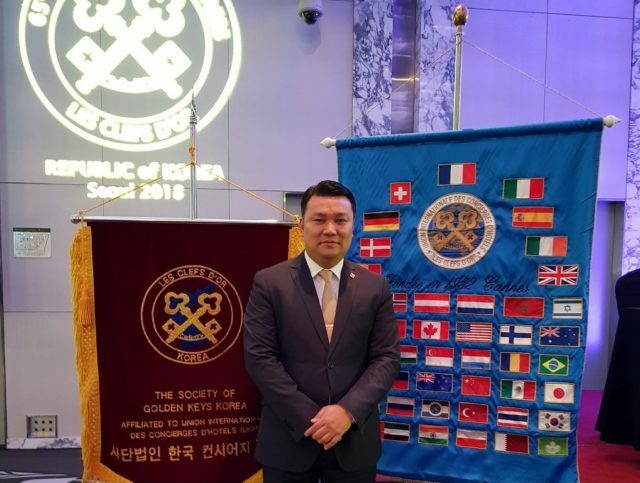 This year’s Les Clefs d’Or International Congress was held in Seoul from 5 to 10 April; the 2019 edition is set to be held in Cannes.